SOON TO BE A MAJOR MOTION PICTURE DIRECTED BY MADONNA! 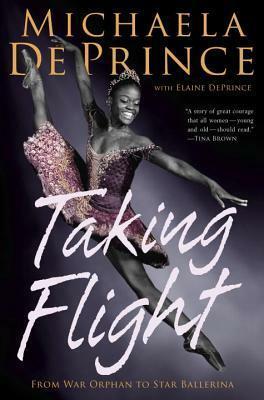 The extraordinary memoir of an orphan who danced her way from war-torn Sierra Leone to ballet stardom, most recently appearing in Beyonce's Lemonade and as a principal in a major American dance company. Michaela DePrince graduated from the American Ballet Theatre's Jacqueline Kennedy Onassis school in New York, and is a dancer with the Dutch National Ballet. She travels between Amsterdam and New York City, where she lives with her family.